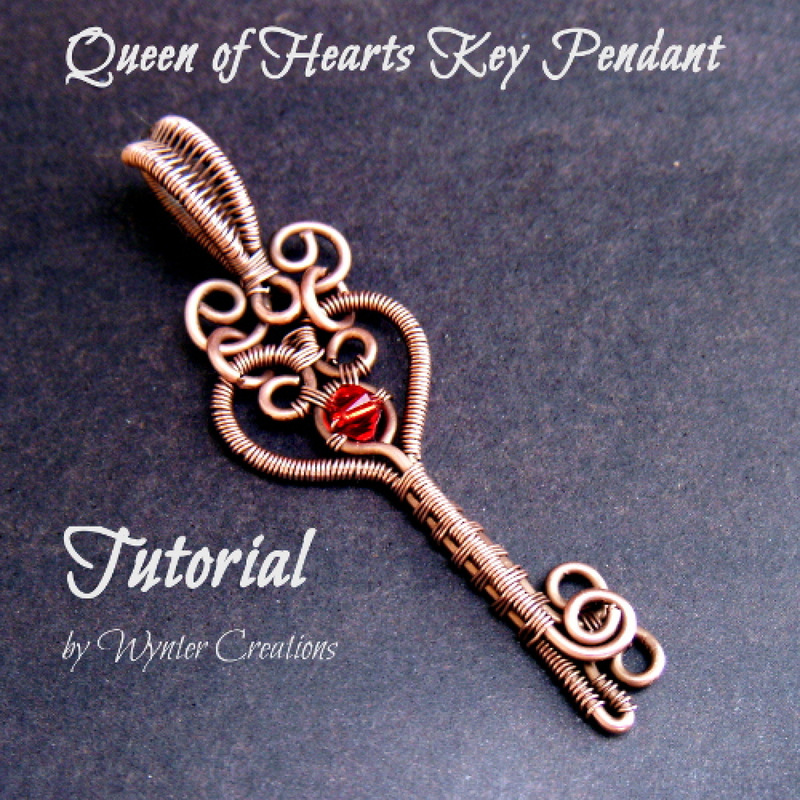 Learn to create a delicate, romantic, Victorian-inspired key pendant with this tutorial from Wynter Creations. 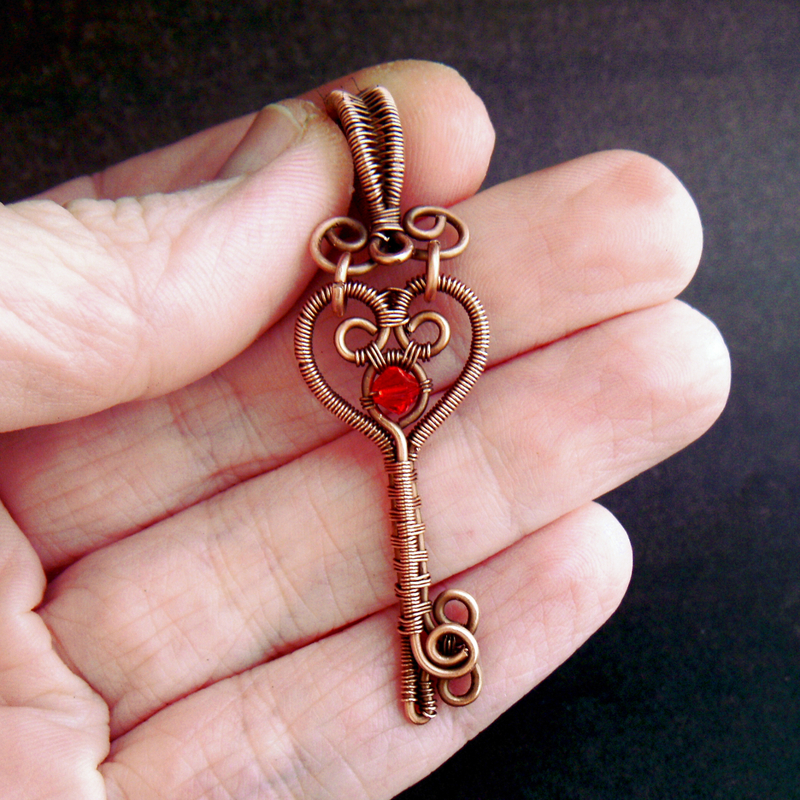 This design incorporates a number of basic and intermediate wire working techniques, including layering wire to create a dimensional effect, and a bail which can be used for many different pendant designs. With 36 easy-to-follow steps and over 90 illustrative photos, this tutorial follows the design in detail from start to finish. 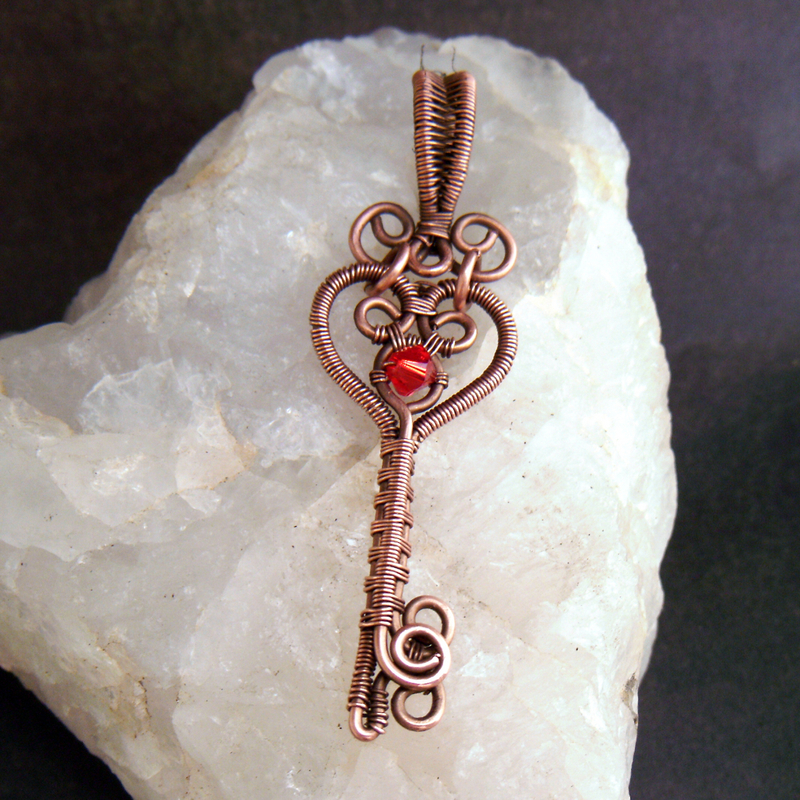 The design creates a small, feminine pendant, about 2 inches long from the top of the bail to the tip of the key. advanced beginners are encouraged to try it as well. Wire cutters (either flush cutters or side cutters will work for this project). The tutorial comes in the form of a .PDF file, and will be available to download immediately upon checkout. If you have any problems, please contact me at wyntercreations@gmail.com, and I'll be happy to help.